Many Computer Science courses still have openings. Contact us if you would like to enroll in a course that is full or needs department consent. 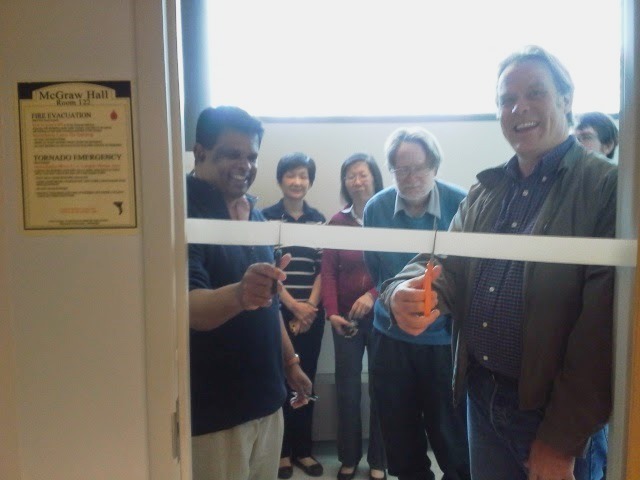 A ribbon cutting ceremony was held to dedicate McGraw 122 for use as a student research lab and presentation room. Funding for computers, upgraded technology and presentation equipment was provided through the Strategic Initiatives Grant and the College of Letters and Sciences. 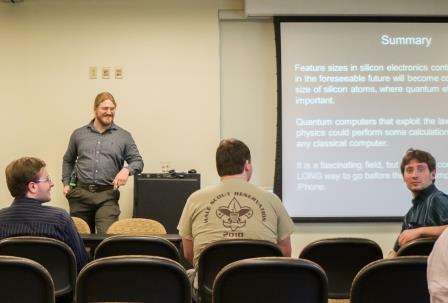 Thank you to all who participated in the Quantum Computing Presentation, Alumni Panel “The Road to Graduate School” and presentation of certificates to CS and MCS Spring 2014 graduates. The event was a great success. Thank you Dr. Luke Langsjoen for traveling from UW-Madison to present your research to us. Students from Whitewater and Fort Atkinson High Schools visited campus and learned about faculty and student research at UW-Whitewater on 5/20/14. 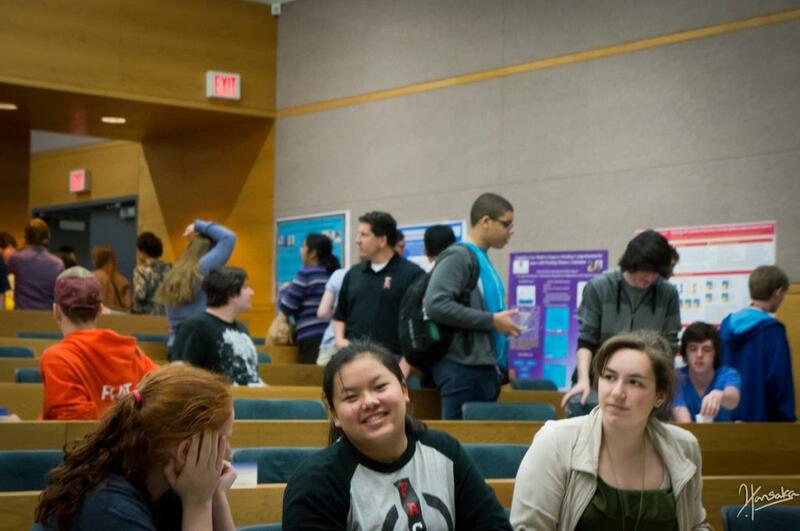 This was the first of what we hope will be many Computer Science High School Days at UW-Whitewater. Summer internships available. Click here for more information. Today, 5/8/14, noon to 3 in Hyland Hall Atrium. A dozen exhibits by students and faculty of ITSCME. Whitewater Unified School District is looking to hire 3 interns starting June of 2014.